The A-2018 class, which is the department’s 163rd recruit school, includes eight women, 16 former peace officers and 26 military veterans. The oldest graduate is 49-years-old and the youngest is 21-years-old. 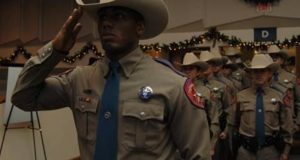 Eleven of the recruits moved to Texas to join the Academy. This is the first recruit class to receive specialized training that will enable them to teach the public about active-shooter events. This class is also the first to receive swift water rescue training. 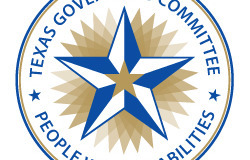 Both of these courses will be part of the DPS Training Academy curriculum moving forward. The Troopers began the 25-week training academy in January. Instruction covered more than 100 subjects, including counterterrorism, traffic and criminal law, arrest and control procedures, accident reconstruction, first aid and Spanish. They also received training in use of force, communication skills, firearms, driving, criminal interdiction, cultural diversity and physical fitness.